The wait is over for making a delicious fresh loaf of Paleo Bread right in your home with our Paleo Bread Mix. We have worked on perfecting an ideal Paleo Bread mix you can make right in your own home. This delicious soft low carb, gluten free, Paleo Bread is easy to make all you need is an 8×4 Pan (or similar), Egg Whites, Apple Cider Vinegar and Wrap In Parchment paper. 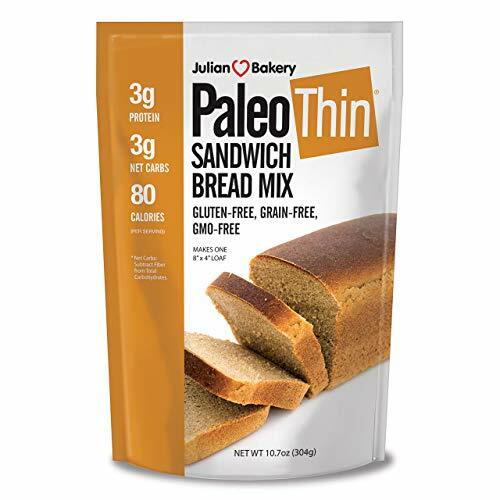 Each slice is a mere 3 Net Carbs but the best part is the amazing taste and soft bread like texture you get from this incredible Paleo Bread Mix. It’s 100% Grain Free and Processed in a dedicated gluten free facility. All You Need Is An 8x4 Pan, Egg Whites, ACV, Parchment Paper.